Thank you for joining me for another edition of the Financial Panther side hustle report! As you can probably tell from reading the title of this post, August was a very lucrative side hustle month for me. In fact, it’s my highest side hustle income month to date. It’s months like this where I seriously think I could try to go all-in with this whole self-employment thing. After all, if I’m able to make this much while also working full-time, how much could I make if I spent full days doing all of these side hustles? To inspire you and give you ideas so that you can do the same thing. What you can take away from all this is that there is money to be made out there. When I side hustle, I try to break things down into manageable chunks. An extra $500 to $1,000 per month, for example, is within reach for anybody. All you have to do is make about $16 to $32 each day. With all of these apps and side gigs, it’s possible for anyone to do this. As I said before, August was a crazy side hustle month and I’m still surprised at how much extra income I was able to bring in. The amazing thing is that I didn’t even realize that I had made as much as I did until I started putting this post together. I think that’s really one of the great benefits of this whole monetize your life strategy that I’ve been doing. Since I’m just doing the things that I’m already doing anyway, all of this extra income just sort of happens in the course of my day-to-day life. Looking at the numbers a little closer, you can see that I earned my August side hustle income from 9 different sources. 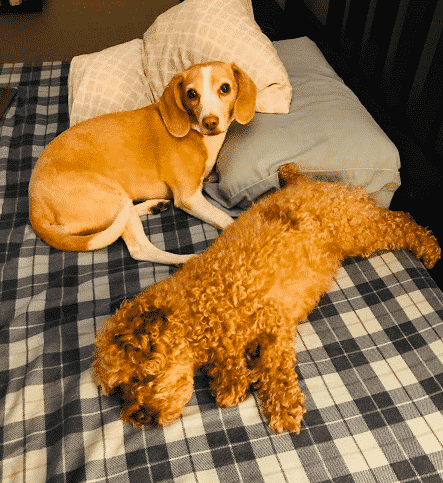 The big earners this month were Airbnb and Rover, with Airbnb bringing in almost $2,000 and Rover bringing in close to $1,000 of extra income. Deliveries and dog walking were also strong for the month. I also started doing a lot more scooter charging with Bird and Lime this past month, and this is something that I think I can make an extra $100 or $200 per month without doing a lot of extra work. And as a side benefit, it means that I get to ride scooters around for free. I’m having way too much fun on these scooters! As with past side hustle reports, the below sections go into greater detail about how I earned my side hustle income for the month. We had a college kid rent out our Airbnb room for two weeks while he was in between leases. Both of those guests were terrific. For the month, we ended up with 22 nights booked, with the bulk of our Airbnb income coming from those two big stays. The rest of our stays for the month were the typical August guests that we get. Since we live in a college neighborhood, most of our August guests tend to be students that are either between leases or parents in town that are helping their kids move. Renting out our entire house is something that has been going very well, especially since we’ve found that our place seems to appeal to families with young kids. This is obviously perfect for us – families with young kids probably aren’t going to throw parties or trash our house. To date, we’ve rented out our entire house three times, all to families. It’s been well worth it. Each weekend nets us between $600 and $900 and since we’re flexible, it’s easy enough for us to just move out of our house for the weekend and either travel or just stay with family. We can basically use Airbnb to pay for our trips (if we wanted to use the money that way). We’ve got another whole house rental scheduled for October for a family coming into town for parent’s weekend at the university, so that’ll be another nice boost to our revenue. Overall, Airbnb continues to roll along and I’m convinced that for many people, this is an ideal way to add a little bit of house hacking into your life. 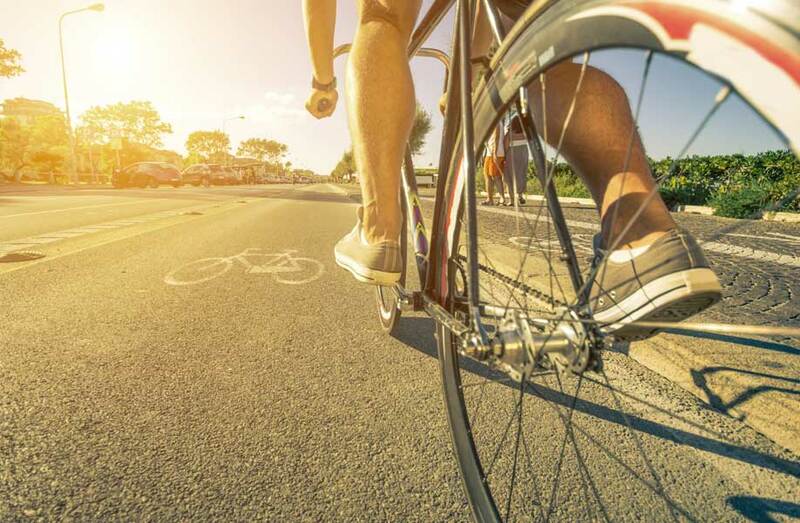 Short-term rentals have the nice benefit of basically giving you the best of all worlds – you get the benefits of subsidizing your housing costs by house hacking, but you don’t have to deal with the issues of having a permanent roommate or being someone’s landlord. And the great thing is that if you do Airbnb and find out it’s not for you, you’re not locked into anything. All you have to do is just stop hosting. If hosting on Airbnb makes sense for you, feel free to use my referral link. This past month marked the highest earning dogsitting month my wife and I have ever had in the three years we’ve been dogsitting on Rover. We’ve always had a self-imposed limit of watching one dog at a time, which essentially caps the amount we can earn from dogsitting. That’s worked out for us since this is just a side hustle and we want to make things easy for ourselves. In August, we had a lot of repeat clients ask if we could watch their dog. Since all of these dogs were dogs we’ve watched before, and since they were all good dogs, we decided to break our rule and watch multiple dogs at once. The thing to remember is that, if you already own a dog, watching a second dog really doesn’t add much additional work (at least that’s my experience). Once you start watching more than one dog is when things seem to start getting more hectic. It’s the walking part that’s hard – walking two dogs at once is easy, but when you have three dogs, it can be a pain. My wife and I also had a few new dogs this month that worked out pretty well. 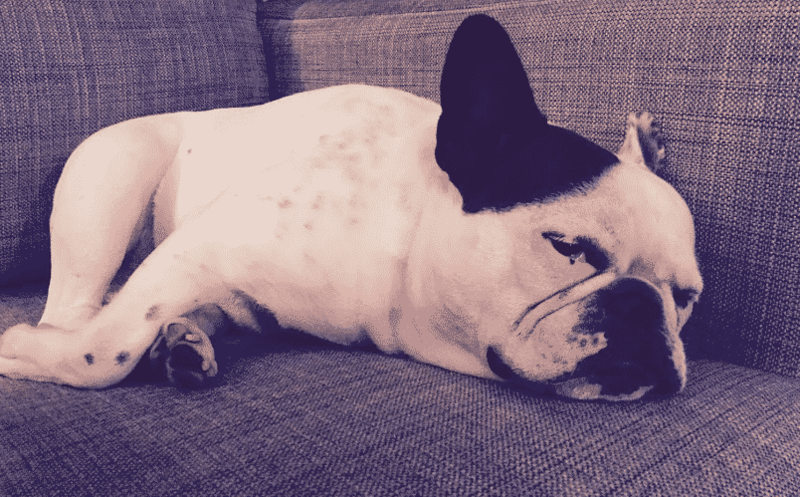 Our favorite new dog this month was definitely this super well behaved and hilarious French Bulldog. This is one of those dogs we’d watch for free! Rover is doing really well for us this year with $2,400 worth of payouts already so far. This is a big deal since dogsitting really doesn’t feel like work to us, especially since we already have to take care of our own dog anyway. In a way, it’s like our dog is earning us money too. Prior years had slightly less in earnings because things were split between Rover and DogVacay (which was bought by Rover in 2017). 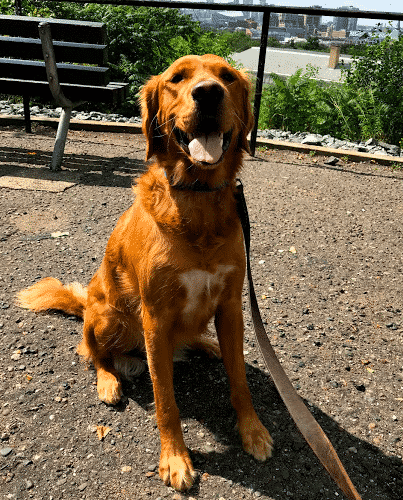 If dogsitting makes sense for you as a side hustle, feel free to use my Rover link. It was a big month on the delivery front. The bad thing is that I’ve been cheating a little bit. My whole point of doing deliveries is because it’s my way of getting paid to exercise, but this past month, instead of doing deliveries on my bike like I usually do, I’ve been doing a lot of my deliveries using electric scooters from Bird and Lime (more on those below). Since I signed up to be a scooter charger with Bird and Lime, I can usually grab scooters, charge them up, then ride them around for free until I have to return them the next day. I basically always have a free scooter with me at all times. Obviously, doing deliveries on an electric scooter kind of defeats the whole purpose of doing deliveries since I’m not getting paid to exercise if I’m just flying around on scooters. Still, I’m just having way too much fun on these scooters, plus, I really like the reaction people have when they see me pull up to their door on a scooter. I had one customer that I delivered food to twice this month, and she laughed each time she saw me roll up to her door on my scooter. I’ll stop using those scooters eventually, but I just can’t resist right now! DoorDash is the delivery company that I tend to use the most since they always offer bonuses during lunch and dinner. When the bonuses are in effect, you can basically make $10 or so for a delivery that takes 15 minutes to complete. That’s really good and makes it well worth it. Postmates I really only do now just to keep things varied and because they tell me where the delivery is going. Uber Eats is good when it’s on surge pricing, but they don’t tell you where the delivery is going, which makes things harder for me to plan out. Wag continues to be a steady income source for me, with most of my walks coming in during the lunch hour. Like with Postmates and all those other delivery apps, Wag is basically my way of getting paid to walk around at lunch and get some exercise. Since these apartment buildings are right by my office, it doesn’t take me very much time to walk these dogs. Instead of sitting at my desk eating some sad lunch, I now spend most of my lunch hours walking around the neighborhood with a dog in hand. I added a new client to my Wag client list – this dog below named Arrow. He’s a good dog and lives in a house that’s literally 2 blocks from my office. One of my new clients I picked up on Wag this month. Lives right across the street from my office! Wag is something that can work out very well for anyone who works in an area that has apartment buildings nearby. These buildings are always filled with dogs and you only need a few clients to get a decent side hustle going during your lunch hour. All of these little walks add up over time and if you’re walking around at lunch, you won’t feel like you’re even working. Be sure to read more about Wag here, if you’re looking for more information about how it works. 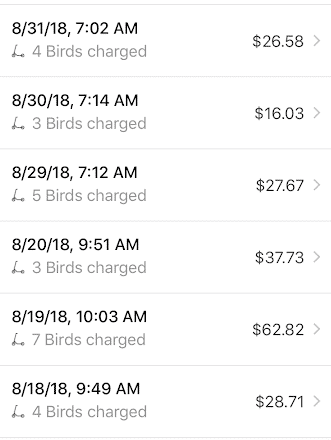 August was my second month of charging scooters for Bird and Lime and it’s quickly becoming one of my favorite side hustles. That’s because I’ve figured out the perfect system to incorporate scooter charging into my daily routine. If you haven’t done so yet, make sure to read my post on what it’s like being a Bird and Lime charger – you’ll need that basic background to understand how these electric scooters work. The basic gist is that Bird and Lime pay you to charge up electric scooters. Once the scooters are charged up, you have to drop them off in designated spots (called Bird Nests and LimeHubs). All of the LimeHubs are in bad locations based on where I live, so I haven’t been doing much Lime lately other than to just ride them around for free. Bird, on the other hand, added a bunch of Bird Nests that are on my route to work. And this works perfectly for me. What I’m able to do now is grab a bunch of Bird scooters on my way home from work, charge them up overnight, then essentially ride them to work in the morning and drop them off along the way. I’ve become really good at riding a big stack of scooters each morning. I still need someone to film me on one of these stacks, but below is a video of a stack that I rode the other day if you want to get an idea of how it works. Charging up these Birds nets me $5 to $25 every morning, which might not seem like a lot, but actually adds up over the course of the month. And since I’m doing it while I’m going to work, I’m not really wasting any time. I’ve basically figured out how to get paid $100 to $200 every month just riding scooters to work. One other nice thing is that since I use these scooters as transportation, I’m able to make money while I’m doing other things to make money. I already mentioned above that I’ve been using scooters to do deliveries – I charge them up, do deliveries, bring them home and charge them up some more, then bring them back out and get paid. I’ve also been able to incorporate scooter charging with my Wag walking. For example, there was one day where I picked up a Wag walk that was downtown. I had a few scooters charged up, so I rode them to a Bird Nest that was next to the building I was going to, dropped them off, then went ahead and did the walk. That little trip made me over $50 for something that basically took me an hour to complete. I think charging up scooters for Bird and Lime is the perfect side hustle for most young professionals. If you live in a city, you can basically charge up scooters overnight, then ride them into work in the morning and get paid. You’re really missing out if you’re not doing this (assuming you’re in the right location to make this work for you). My wife and I finally got back into the whole trash selling game this past month. Since we live in a college neighborhood, there’s always tons of trash when the college kids move out. For the past two years, we’ve capitalized on this by grabbing all of the furniture they throw out. The interesting thing is, we didn’t grab any really big things this. 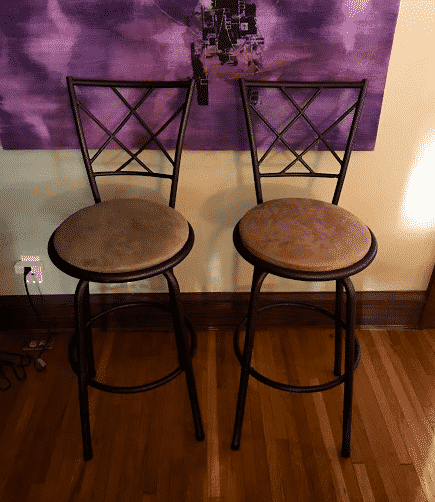 Most of the stuff we sold were things like chairs and barstools. These type of things sell surprisingly quick and they have the added benefit of being easy to carry (which is good for us because we’re usually walking around when we find trash). Sold for a quick $20. Selling trash finds isn’t something I spend a lot of time on these days just because I have a lot of other stuff going on, but it’s still easy enough to do, and as you can see, there is money to be made out there if you just keep your eyes open. Even small trash sales add up. We literally didn’t sell anything this month for more than $30, and we were still able to make $140 this month. As usual, Job Spotter continues to be a steady source of side income. I always make between $10 and $20 every month just by taking pictures of hiring signs. It’s something that I think everyone should do, even if you hate side hustling and don’t want to do anything. It seriously takes no time. Read my in-depth review on Job Spotter if you’re looking for more info about how Job Spotter works. One app that I’ve been playing around with is Market Force. It’s a secret shopper app that I think is worth doing, mainly just to get free food. They have a lot of fast-casual secret shop gigs for burger and chicken tender places in my neighborhood, which means that I can usually get some free dinner just by using this app. Not the healthiest thing, I know, but I can’t complain about getting free food and making a few bucks at the same time. In my experience, the secret shop gigs for Market Force usually take about 15 minutes to complete. They basically involve ordering certain food, eating it, and then rating your experience. At one well known fast-casual burger place, I ordered a burger, fries, and a drink, ate it, then answered the survey questions. The one annoying thing about Market Force is that they pay about a month after you complete the secret shop, so it takes a while to get paid and reimbursed. I did these gigs way back in July. Check out the Market Force app if you think this makes sense for you. I think it’s worth trying out at least. 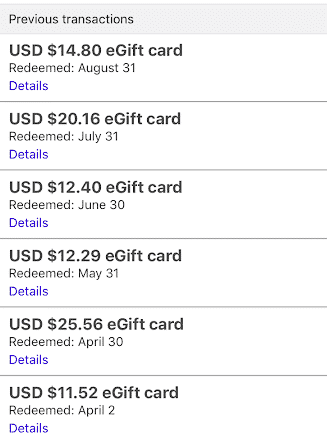 These quick survey apps are really easy to do, and I continue to make about $2 every month from Google Surveys and then about a buck from 1Q. 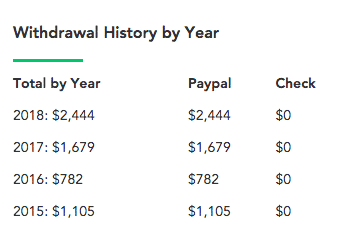 I make about $5 every two months from Dabbl, which I’d say is the worst of these three apps. 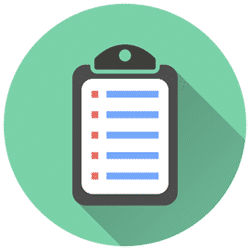 Unlike other survey apps, these apps basically take 3 to 10 seconds to complete each survey, so I can do them without thinking it about it much. They are worth doing, and while it’s obviously not a lot of money, you do make a few bucks for very little work. And that concludes the August 2018 Side Hustle Report! August was one of my biggest side hustle income months yet. The more I do these side hustles, the more convinced I am that I could maybe try to make a go of this whole writing thing and just survive by basically side-hustling full-time. I just gotta get over that whole fear thing. 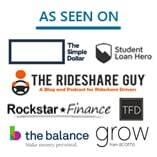 If you want ideas about how you can earn money side hustling using gig economy and sharing economy apps, make sure to sign up to get access to my comprehensive list of sharing economy/gig economy apps. I think its the best list of apps out there and I’ve spent a lot of time putting it together. And, they’re gigs I’ve done, so I’ve got first-hand experience with these apps. You can check them out here. If you’re interested in learning more about how I earn money on the side, be sure to check out my side hustle report page, where I have links to every side hustle report I’ve written since 2016. Thanks for stopping by! I need to binge on your site this evening, more seriously – thanks for sharing. Thanks! Yeah, there’s a lot of content here! Hope you enjoy it! Well done! I’ve hopped on the Bird charging train and got my own system going. Already made $150 this month! Will write a post about it soon. Thanks for convincing me to do this! Man, tweet at me when you have that post out so I can check it out! Like I knew your situation was perfect for doing some Bird! Wow congrats! So do you rent out a room when you’re in your house, but when you’re out of town you rent out the whole house? Genius! That’s right! Our house is always working for us – whether we’re in it or not. Make it rain, Brotha Kevin!!! I think you’ve earned a colorful pocket square in your caricature! I give you credit for renting out your home on Airbnb. We just couldn’t get any bites when we tried it this summer. I know exactly why – I wanted to make a killing despite not having any reviews of the property. I hadn’t gotten to SuperHost yet on our Condo in Michigan, so prospective guests didn’t have much to go off. Oh well – at least our house sitter left us some free beer. The occasional whole house rental is definitely harder than it seems. 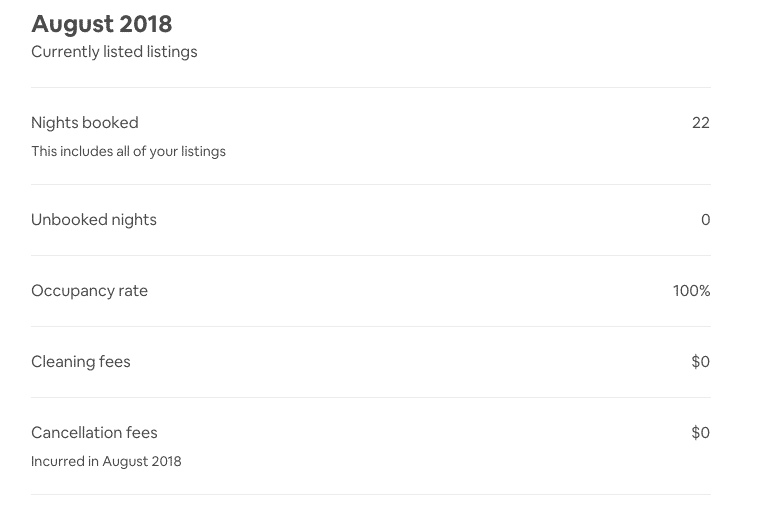 I keep my house listed up at all times and don’t get consistent bites – I’ve got three whole house rentals so far this year, plus one more on the way. And I suspect that will be it for this year for whole house rentals. Just keep at it. The fact that you have another property with reviews will help. Great job! I don’t know anyone who makes money from this many different side hustles. Thanks Marc! It’s fun making money from so many different things. Helps to keep things interesting! Nice income report here! I am considering getting into this Airbnb thing too for our condo. BTW, I really want me a scooter, can you tell me what kind of scooter that was on the video? That’s a Bird scooter that you can rent. They are made by a company called Xiaomi – I think you can buy one for like 600 bucks or something. 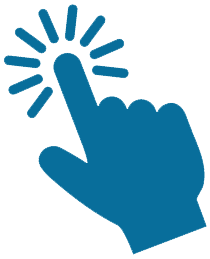 You are not allowed to reveal the mystery shopping company and the clients(5 guys, Raising cane’s, etc.) in the same post. You can get banned from the MSC and possibly sued for doing so. You signed an agreement stating you wouldn’t. Is that right? Didn’t even know that. Good looking out! I’ll revise the post in that case. These are very interesting side hustles, and it’s nice to know about alternative options that do not require a lot of start-up capital. That said, while there may not be any resources to outlay, any side hustle still requires your attention and energy, and these resources are limited. The attention you give to a job posting sign to earn a few bucks for Spotter may mean you miss an interesting cloud roll by (my husband spotted a woodpecker on one of our walks while I was looking at the ground ). There’s also benefit to just giving your brain a rest. Finally, unless you plan to grow the side hustle, enjoy it or learn from it, it may be more beneficial to just work additional hours at your primary job. But it’s always good to know the side hustles are there as needed! All fair points. Still, when you consider that the average American watches 5 hours of TV per day and close to an hour commuting each day, I think there’s plenty of time there to throw down on something. Take 1 hour of that day back and spend it doing something that can make $20 an hour equals $7,300 per year. Your brain can rest for other 5 hours of the day that’s spent doing nothing. Side hustles don’t need to scale either, in my opinion – and of course, I never do a side hustle if I don’t enjoy it! Hi FP, What do you do about tax reporting for these side hustles? Especially these apps that pay in e-gift cards? You report any non-W2 income on Schedule C. So I file a Schedule C for each gig I do. Schedule C shows my income minus my expenses for that particular gig. If you earn more than $600 from any particular gig, they’ll send you a Form 1099, so you just report that information onto your Schedule C. With gift cards, it’s the same thing. Are there any concerns about providing some of these companies your full address and social security number? I just signed up for marketforce and there’s a lot they want from me if I want to level up. Are you up to level 5 and does that really give you a lot more jobs? You have to give these companies your info because they need to be able to issue you a 1099 if you earn over a set amount in the year. It’s required by law. There should be no concern about giving these companies your info. I don’t know what the Level 5 thing is.